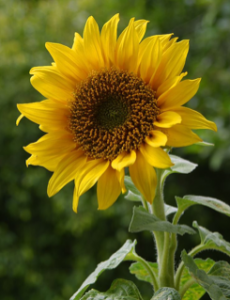 Today I thought I would talk about the super cheerful sunflower. 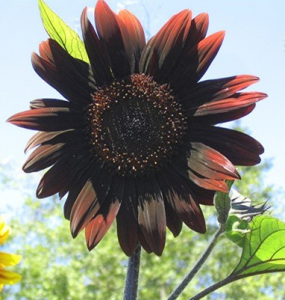 One reason it seems appropriate to talk about the sunflower is because I live in a city where the sun never sleeps. We are almost into September and there are still plenty of days over 100˚ahead of us. By this time we Phoenicians are DONE with the heat! 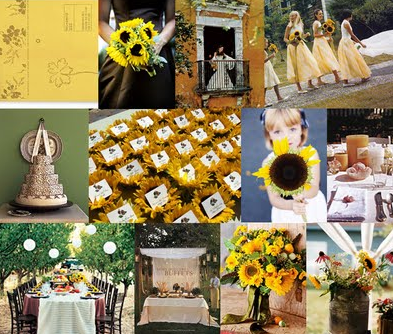 Sunflowers are so bright and cheerful, check out this beautiful sunflower wedding from The Brides Cafe. 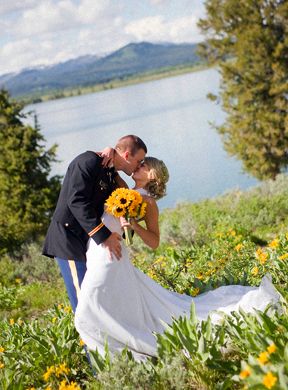 I love the look of this wedding because she used only sunflowers- no filler, no other flowers. Using sunflowers alone is my favorite way to use them because they make SUCH a big statement, adding anything else can cheapen the look. This inspiration board came from Snippet & Ink, she does inspiration boards to perfection. Check out her website, it’s just a little bit addicting.